The South African canoeing team made it's mark on the opening day of the ICF Canoe Marathon World Championships on the Cavada River at Vila de Prado in Portugal. Epworth schoolgirl Caitlin Mackenzie won the hearts of many onlookers as she slugged it out with three other powerful girls in the Under 18 Women's K1 race, using her running ability on the portages and keeping a cool head tactically to stay in contention for a podium place throughout the race. She was second going into the last short lap, only to be caught and overtaken by the powerful Hungarians Dorina Fekete and Zsóka Csikos, with British paddler Emma Russell outlasting Mackenzie to claim the bronze. 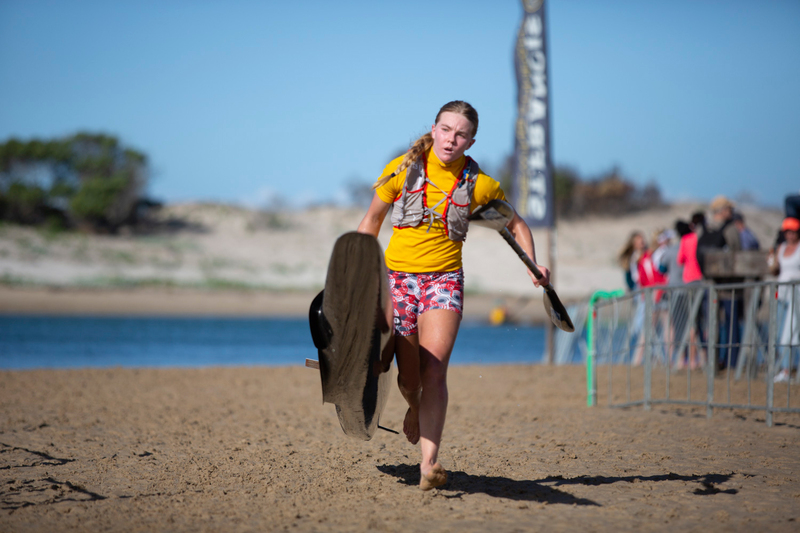 As disappointed as she was, the result for the 17 year old will erase the nightmare of falling out of her K1 right at the start of last year's world championships on her home training ground at Camps Drift that left her a distant 11th in the end. "The Hungarians were so strong, so I know I have to work on my sprinting for next year," she said afterwards. She also revealed that she broke her coccyx in a fall six weeks ago, leaving her bed-ridden and a doubtful starter for the world champs race. "I am not making any excuses," she added. "The other girls did the hard work in training and really deserved their medals." Amy Peckett, also of Epworth, finished nineteenth. In the midday session Christie Mackenzie and Sabina Lawrie contested the Under 23 Women's K1 race that was dominated by the Hungarian duo of Zsofia Czellai-Voros and Lili Katona. After being dropped back to the third bunch, Mackenzie settled into eighth and Lawrie into ninth until their final portage. In a contest within a contest the two compatriots ran the portage hard but it resulted in Mackenzie dropping her kayak at the put-in, filling it with water, and leaving Lawrie to race through to take the eighth place. In the afternoon session a big field started the U18 Men's K1 race, which ended in disappointment for both South African paddlers. Capetonian Uli Hart found himself at the back of the field after an early setback, and was working his way back through the field before withdrawing from the race with his compatriot Dave Evans. Fridays programme sees South African paddlers taking on the Men's Under 23 K1 and the Junior Men's and Women's K2 races.